Work is work, that’s the word on the street. IRL news is started off almost straight off the bat, with Joseph talking about snow and Andrew talks about the new DBZ fighting game. In industry news Joseph covers a new app that gives you Food Wars recipes, and Andrew tells the sad tale of what happens to unsold manga. Finally come the previews, with Andrew’s look at uniquely drawn horror and a RomCom Joseph was interested in, and Joseph’s preview of sexual innuendos in a mech. Paltir was not only a listener, but he was also one of the hosts of a Pulse show- Fan Pulse. I can just imagine he and Joesph being drinking buddies, chatting about anime. Technically I’ve been around since October 2005, since episode 3 I think. Not sure how I remember that, but I do. As with all things over time, interests wax and wane so I’ve been in and out some. Interesting that someone remembered the….. “experiment” that was Fan Pulse. And no, Joseph and I did not get along. Don’t remember why but I had a dislike for him a long time ago. Perhaps things would be a little different now. When I mean use English I mean for show titles when available. I may just have missed when you used the English titles for things. My point was that it’s difficult to remember a show when it’s in a foreign language I don’t speak. I understand your point on previews. Guess I would rather have comments on the feel of the show, humor/animation/story, etc; which you reserve for actual reviews. The breakdown of the episodes doesn’t entice me at all, but no accounting for taste in life. I was going to suggest something like Andrew mentioned, where you just drop a timestamp on the show notes on where you begin the reviews. On further consideration the lazy trek through the show probably works for you, and most people like rambling tangents. Just my personal preferences. 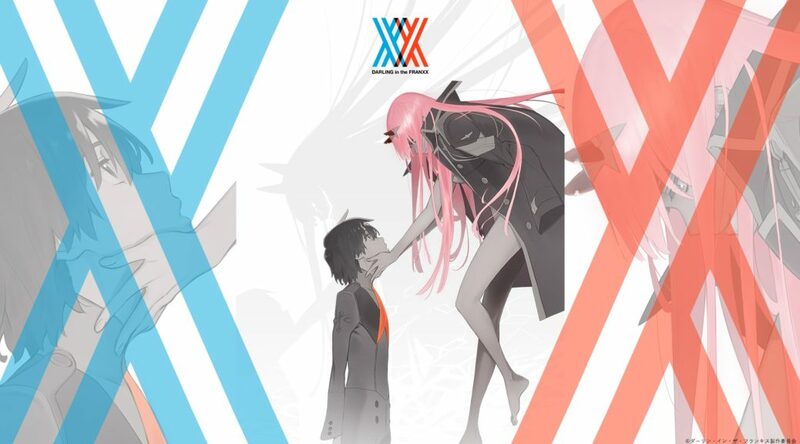 I think someone finally sold me on Darling in the FranXXX. Been unsure of it for a while, and probably should have just watched an episode already, but I don’t like to start something I won’t finish. Studio trigger seldom misses though, so I’ll give it a whirl. I agree with Platir that you could try and keep the IRL news more brief, possibly filling the time they’d normally take by discussing topics suggested by the community or something. You’ve already connected more with community since Andrew began hosting, so it could be a nice continuation of that approach. I’ve also got some comments on the shows you previewed, because I just love comparing and contrasting opinions. Takagi-san I’m pretty split on. On the one hand the strong young love undertones are pretty damn cute, but on the other hand it’s starting to wear on me how Takagi always wins. Even in games of random chance or scenarios where she ought to be completely unprepared or unable to counter Nishikata. It’s like the universe itself conspires to make sure she never, ever loses at anything, no matter how little sense it makes, and it’s getting tiresome. Junji Ito collection is another mixed bag. Some of the stories really nail the spooky and unsettling vibe and have decent animation, others lack in both departments. In both cases most of the quality comes from the source material being good. Animating them doesn’t really add to the stories and more often than not they just plain subtract from them. At least they give Junji ito some more time in the spotlight, which is good. FranXX is another odd one. For the first four episodes it seemed like just a weird action mecha show with some minor drama and crazy sexual undertones, but little depth. Then episode five hits and brings both great animation and a lot of fleshing out of character relations, progressions and the severity of the scenario. I was originally convinced that FranXX would end up being another crazy and stylish action romp like Kill la Kill, but it seems to really want to focus on proper drama, despite how ludicrous the setup is with doggy-style powered mechas and all that. It’s got me firmly hooked. And that’s it for this week’s lengthy rant. Good ideas, feedback and opinions here! I’ll be sure to address and read’em out next recording.